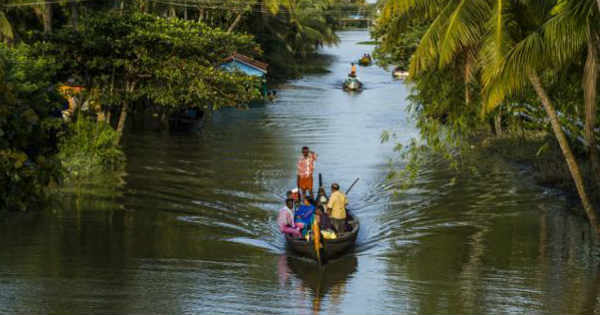 Kerala, also known as God's own country continued to witness moderate to heavy rains on October 17. However, the intensity of rains has gone down during last 24 hours. But now, a Cyclonic Circulation has developed over Kerala and its adjoining areas, thereby increasing rain intensity once again. Moderate spells of rain with one or two heavy showers are possible to keep lasting in the state up till October 20. Thereafter, intensity may reduce but light rains would still continue. Kerala and Tamil Nadu are the only states which have received excess rain during month of October. Now, we expect rain surplus will further increase during the next 2-3 days. Despite of continuous rains foreseen in Kerala, no danger of flooding is likely because the nature of rain is not heavy to extremely heavy. Also, Northeast Monsoon 2018 is about to set in coming 24-48 hours in the southern part of India. The flood like situation usually happens in coastal areas because of weather systems like Depression, Deep Depression forming or travelling to Arabian Sea. However, no such major weather activity is expected in coming 10-15 days. People who have plans to visit down south can keep their plan on as these rains will not hamper the trip.